For those preparing to evaluate quoting and ordering solutions, the task may be daunting. Here are a few tips to ask vendors about their company, services, and product. Tip 1: Establish a set of questions that align with your goals and best suits your business. We will provide a few examples (below). Tip 2: At the outset of the interview and evaluation process, begin with the critical ‘go, no-go’ questions. These types of questions speed the evaluation process by eliminating vendors and products before you waste too much time and get in too deep. Tip 3: Keep an open mind because some answers could lead you toward unique functionality and substantial cost savings that you were not prepared for. What are the most important evaluation questions to ask Product Configurator and Configure, Price, Quote software providers? Does Powertrak CPQ support various manufacturing and distribution styles (such as ATO, CTO and ETO)? Yes! In today’s competitive marketplace, it takes more to attract and keep the interest of dealers, contractors, consultants, and customers. Simplistic and archaic ordering tools are not providing enough competitive value. Manufacturers that fully support its channel with time saving, advanced web tools with rules and configuration intelligence, gives them an increased chance to succeed by selling more, faster, and easier. Our guided selling is ideal for sales professionals at manufacturing companies that sell make-to-order, build-to-order, assemble-to-order, and configure-to-order products. At its core, Powertrak helps sales teams assemble and bundle products with cross-product configuration, discounting rules, margin mark-up, and up-sell opportunities. But what separates us from other CPQ products is our interactive and visual product configurator. Combining visual 2D/3D renderings with drag-and-drop/placement (interactivity) empowers manufacturers to provide an enhanced user experience for its partners, dealers, and customers to visually custom design, quote, and buy its products. Where we are NOT a good fit is for businesses that require a configurator for engineer-to-order products. Is Powertrak a manufacturing and sales fulfillment configurator? Yes! Powertrak helps manufacturers manage sales processes from quote-to-cash. Our platform provides a smooth flow from sales quote to approved order, successful order to fulfillment, and invoice to payment. Manufacturers leverage Powertrak CPQ to improve quote accuracy, eliminate billing errors, strengthen revenue recognition processes and drive fulfillment accuracy and efficiency. Does Powertrak provide guidance for product selection, configuration, cross-selling/upselling and other forms of customer dialog? Yes! In the guided selling and product configuration process, Powertrak helps the seller recommend products that resonate with its specific clients. Powertrak provides notifications and alerts for when it’s time to cross-sell, upsell, and suggestions for product substitutions within bundles, kits or solutions. Powertrak supports sales professionals with tools and information they need to succeed! Does Powertrak integrate into CRM and ERP systems? Yes! Powertrak is a Certified for Microsoft Dynamics (CfMD) product and fully integrates into Microsoft Dynamics 365 and Salesforce.com. For those interested in no integration, Powertrak is a stand-alone product, as well. Does your solution support a visual configuration model to help validate the selection? Absolutely! As mentioned earlier, Powertrak brings a unique quoting and ordering experience to the market. Our advanced two-dimensional and three-dimensional visual configuator is not a stationary CAD drawing. No, we have taken the configuration-quoting-buying experience to a whole new level by combining real-time visualization, interactive (drag-and-drop/product placement), self-expression (build it the way you want to! ), and entertainment. Turn your printed catalog into a digital, on-demand selling solution by enabling buyers to see, design, price, and buy any type of customizable product. Powertrak 3D Product Configurator is 100% cloud-based and delivers real-time, spin/zoom, drag-and-drop placement, repositioning, snap-to-connect, and guides for precise attachment points and placement. *Be sure to ask the vendor if its platform can support an upgrade/change from traditional product configurations to visual product configurations without 3rd party tools! Powertrak can do this. Does your Visual Configurator work with Virtual Reality or Augmented Reality? (1) Have the customer design the room and then experience it in VR. The visual configurator empowers customers to interactively custom build products and design spaces with an easy-to-use, drag-and-drop feature. 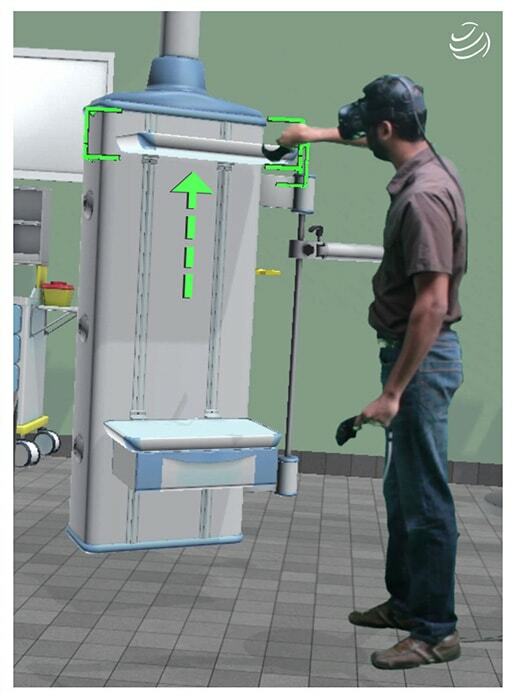 When complete, customers don a HTC Vive headset or Google Cardbord to visualize and operate configured product(s) and explore the virtual environment. (2) Have pre-designed configurations made, and the customer can only explore the environment. Powertrak VRoom delivers the same virtual reality experience but without the quoting, ordering, and product configuration integration. Does Powertrak provide reporting and analytics? Yes! It delivers accurate and real-time analytics and detailed forecasting reports to keep your team “in-the-know” at all times. Powertrak mainly caters to medium-to-enterprise size businesses, but we have watched a few of our smaller clients explode from 10 users to 300 users. We have customers that range from 10 users to 1000 users, and sell 5 products to 10,000 products. It doesn’t matter how fast you grow, Powertrak will move with you in lock-step. Does Powertrak offer multi-lingual and multi-currency support? Yes! With Powertrak customers all over the world, multi-lingual and multi-currency functionality is essential and a requirement for them to do business. Powertrak customers can create quotes and orders in different languages and define the type of currency needed for payment. Do you have the capacity to service enterprises across varying geographies? Yes! With customers all over the world, our teams have demonstrated many successful deployments, support, and services to businesses located from Los Angeles-to-London-to-Sydney, and anywhere in-between. Does Powertrak run on mobile devices? Yes! You can configure a design, generate orders and build quotes on browser-enabled mobile Android and iPad tablet devices. Powertrak is not an offline application and does not store critical information on devices. Can I have a choice of deployment either from the cloud or on-premise, or does your solution dictate my deployment? Yes! We empower your evaluation team to select the appropriate deployment option that best suits your business: hosted, on-premise, or a hybrid. Our global hosting environment option, NetPRM, enables businesses to use Powertrak via the cloud with no responsibility for upgrades and maintenance. Our hybrid option serves customers that currently have an on-premise CRM system in place but wants its CPQ solution deployed in a hosted environment – SaaS model. Start empowering your sales team today by learning about configure-price-quote software from Axonom.